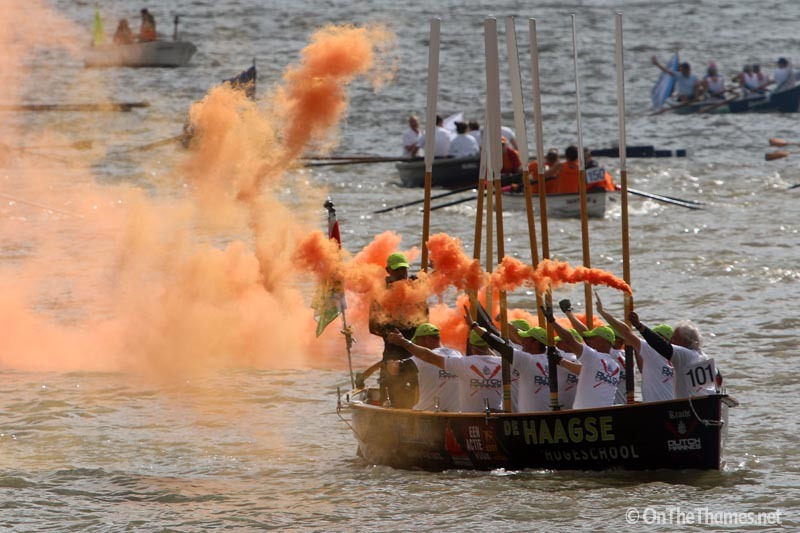 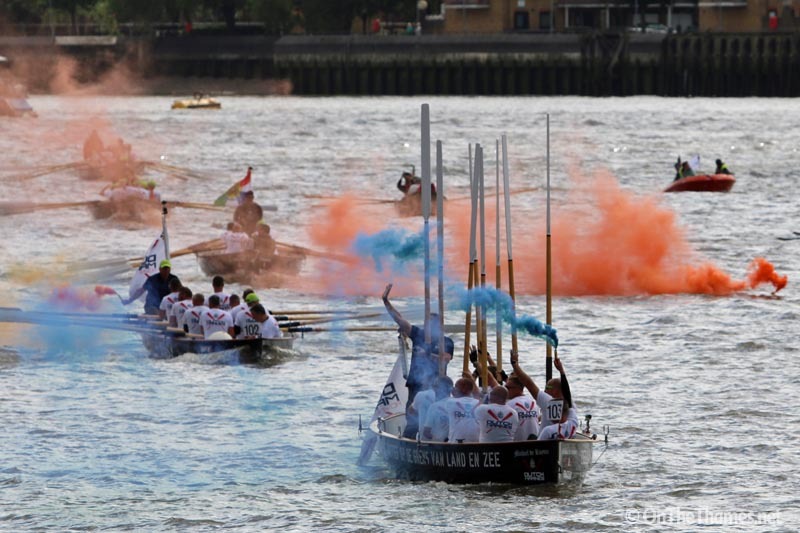 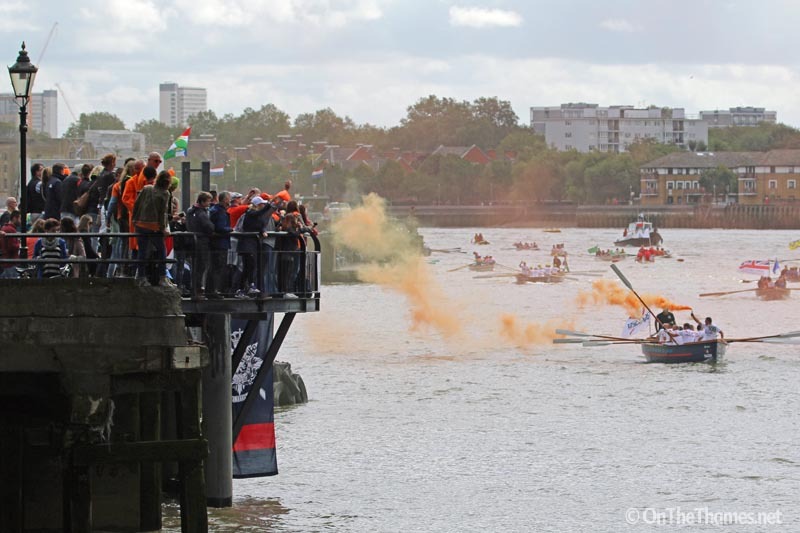 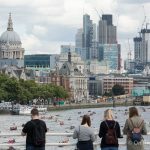 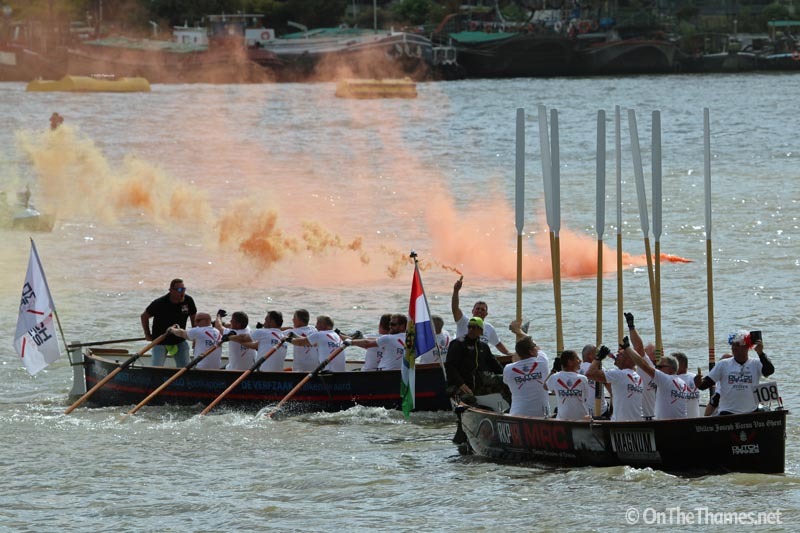 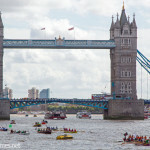 ORANGE shirted supporters and plumes of smoke made for a colourful finish to the Dutch Marines Rowing Challenge at Tower Bridge today. 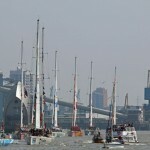 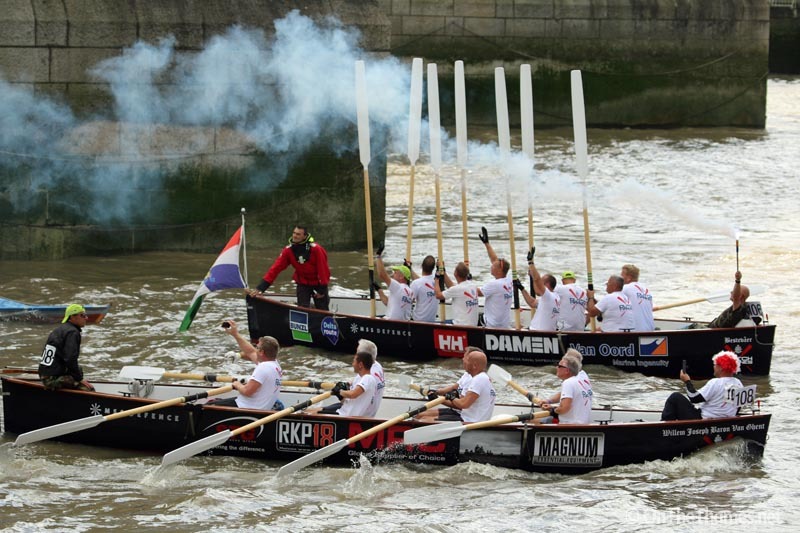 The Marines taking part were today completing the 350km journey from Rotterdam to London which started on 5th September. 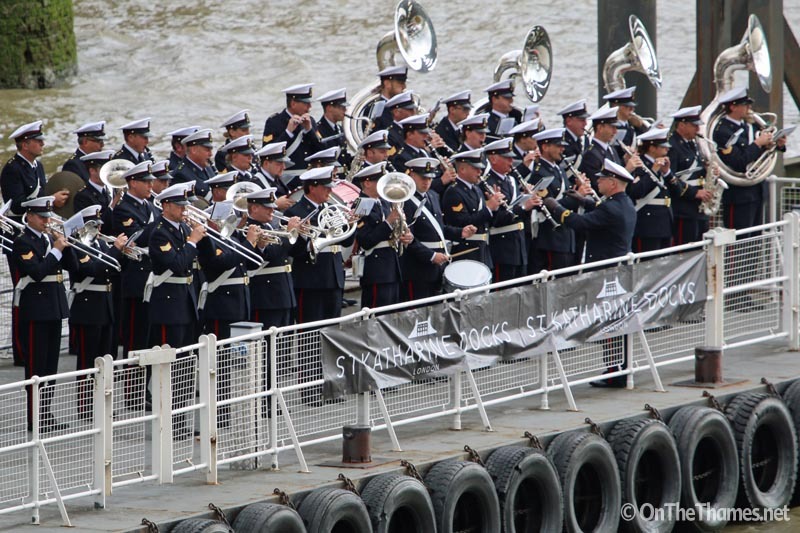 The Marine Corps Band of the Royal Netherlands Navy added to the sense of occasion as they performed on St Katherine Pier. 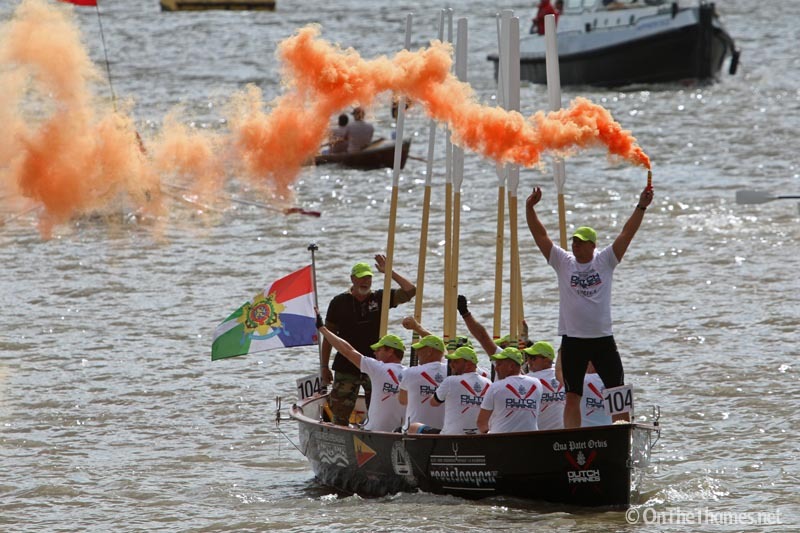 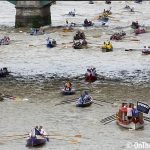 The climax of the Dutch Marines Rowing Challenge occurred at the same time as the Great River Race and the participants carried on past the finish line of the DMRC to also complete the Great River Race in Richmond. 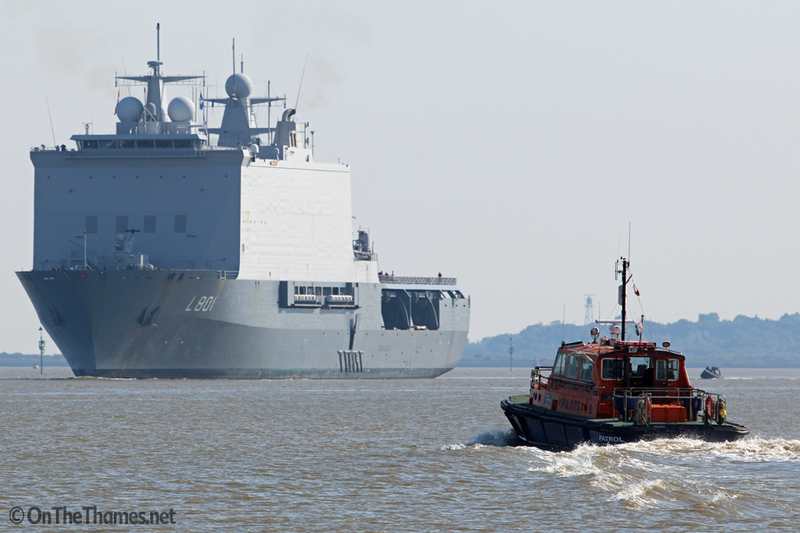 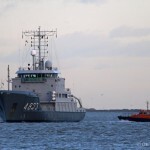 Also in London to support the DMRC is the Dutch navy's HNLMS Johan De Witt which arrived yesterday and moored at Victoria Deep Water in East Greenwich. 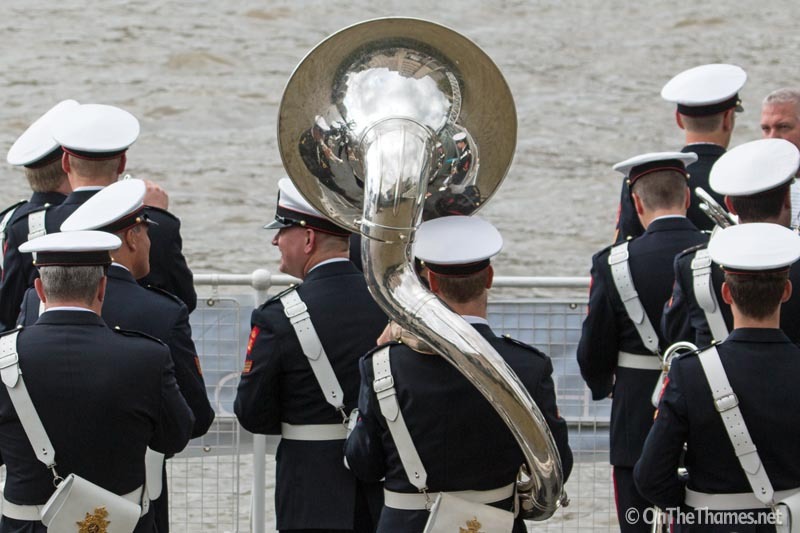 Proud to know one of them ! 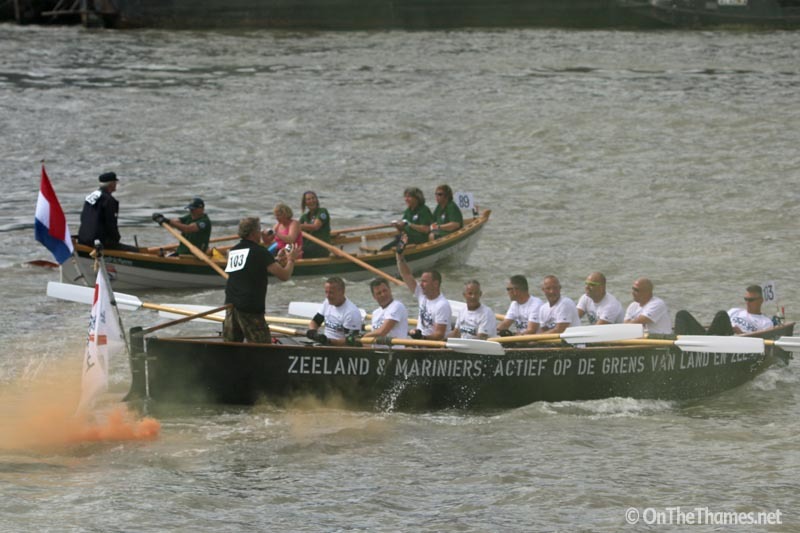 Is it possible to get the photo from the marine who is standing in the boat with The orange flair ? 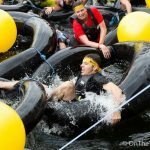 I want to have cause its me !